Mothers Against Drunk Driving does not endorse the NTSB's new, aggressive drunk driving program. Here is why the two groups can't get along. After a year of study the National Transportation Safety Board (NTSB) yesterday announced new guidelines for reducing drunk driving in America. The aim is to get the number of American’s killed by drunk drivers down to near zero from the approximately 10,000 killed now each year. The NTSB makes 7 recommendations. The first point the group made is the one it focused on in its press conference about the new report. That recommendation is to reduce the enforcement level for drunk driving from a 0.08 (point oh-eight) blood alcohol level to 0.05. Interestingly, Mothers Against Drunk Driving has taken a “neutral” position on that recommendation. “MADD appreciates the National Transportation Safety Board (NTSB) for bringing the American public’s attention to the fact that drinking and driving continues to be a major problem on our highways—killing almost 10,000 people a year—and that additional steps have to be taken to save the unnecessary loss of life and injuries that occur as a result of these crashes. 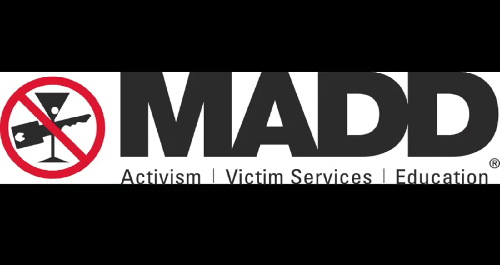 Above all, MADD strongly recommends that the safest course of action is to not drink and drive. The focus of our advocacy remains on the continued implementation of our Campaign to Eliminate Drunk Driving® (CEDD). It is important to note that the CEDD has been structured to maximize the number of lives saved as quickly as possible and, when fully implemented, is projected to save approximately 8,000 lives a year.” Since the point of the lower enforcement level is specifically to encourage people not to drink and drive it would seem that the two sides are in agreement, but apparently not. In summary, seven months ago Mothers Against Drunk Driving criticized the NTSB for focusing on hard-core drunk drivers too intensively. NTSB has reversed course and has now suggested focusing on all levels of drunk driving, and adopted all of the suggestions of MADD, plus more. Yet, MADD cannot seem to embrace the new policy either.